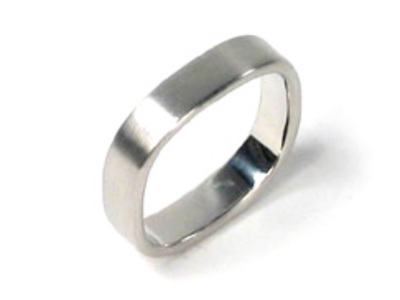 White gold is an alloy of gold and at least one white metal, such as silver or palladium. Like yellow gold, white gold is measured in Carats. Eighteen carat gold containing 25% copper is found in some antique jewelry and has a distinct, though not dominant, copper cast, creating an attractively warm color. When alloyed with silver alone, 18 carat gold appears yellow-green in color.